Rosewood is a beautiful veneer. 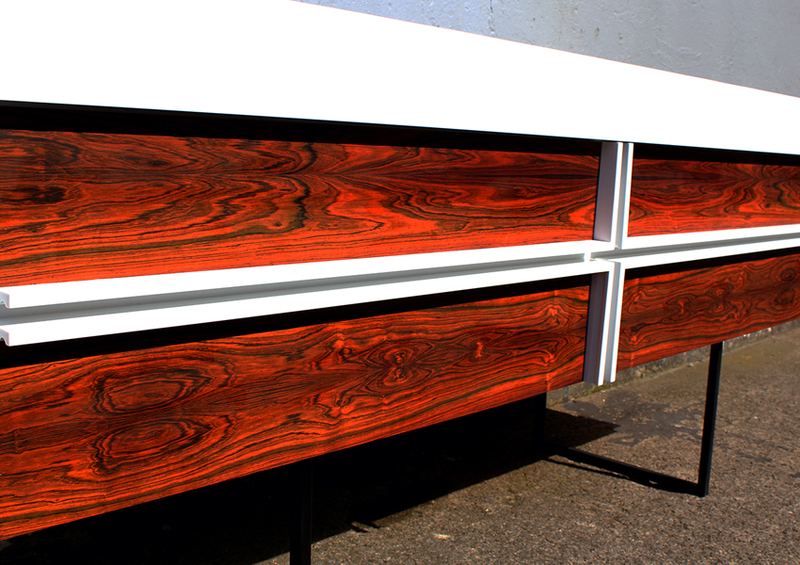 This cabinet and its design was really to show off the veneer. 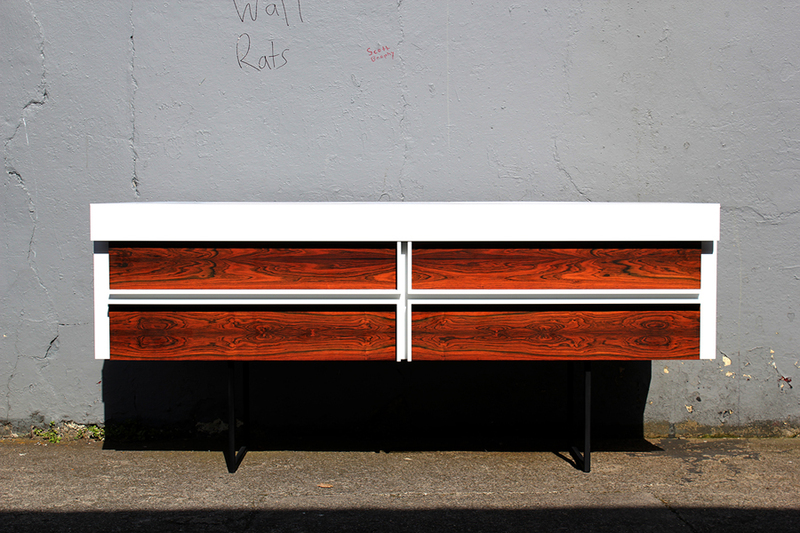 We did this by keeping the cabinet all white and used the strong vibrant contrast of the veneer to really make it stand out. 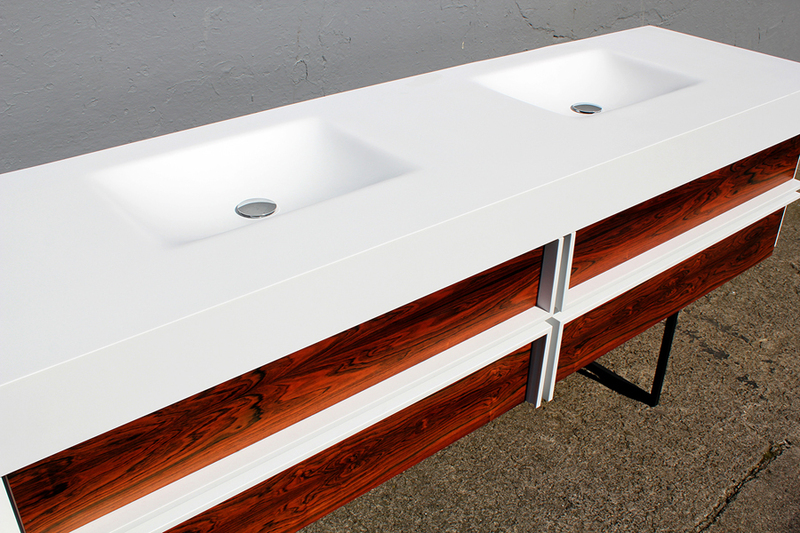 We custom made the top and handles to complement the design and the room. Dimensions: 2200mm long, 600mm high and 600mm deep.